Most people are not aware of this but, back in the beginning of Instagram, this social network was thought to be a niche network. The goal was for it to be the official social network for photographers, so much so that, in its first year, Instagram received a large number of photographers wanting to showcase their work on it. As we know, over time Instagram began to take on gigantic proportions and “falling into the grace” of all of us, even the most regular users who are definitely not in the photography business. It really grew and, today, it is one of the most popular social networks in the world, and one that grows at a faster rate than all the others, including Facebook. In the early days, the image format allowed on Instagram allowed photographers to post images in the format 640 x 640 pixels, which meant that they had to compromise the quality of their photos in order to upload them to this social network. Today, though, Instagram allows the upload of images in 1080 x 1080, an upgrade celebrated by photographers from all over the world. Another interesting feature on Instagram is the possibility to upload multiple images at once. It is common for photographers to have their own Facebook page to showcase their work. These people know that the number of likes in the page is quite higher then the average likes placed on publications, but why? Facebook, unlike Instagram, has a content distribution system, causing for publications to reach only a fraction of the page’s followers. This is quite a frustrating situation, but it is possible to overcome it. The key has to do with investing in different social networks, where Instagram is a powerful candidate. It has a far greater reach than Facebook and, doing the right things and following the right tips, it is possible to grow your Instagram account to greater numbers, which leads to more visitors, more potential customers and, therefore, increased income. Because Instagram is a 100% visual and simple social media, it becomes ideal for showcasing one’s photographic works. With this in mind, here are some tips for photographers to excel in this social network and begin to expand their customer base. The ideal is to use Instagram as a professional media, so do not mix it with your personal posts. This can cause a mental conflict in your followers, who are there to simply follow your work and not whatever happens in your personal life or your own views. Also, if you do not have the funds or simply do not want to invest in professional website, your Instagram profile is a perfectly acceptable online portfolio, where clients can view and even comment on your work. No one can succeed in any social network if they do not post content that interesting for followers, while also entertaining and inspiring them. So, remember to always create relevant content according to your niche market – photography. When you really understand your audience, you are able to produce your content to sensitize these people through photos and videos. Instagram has several accounts, each with thousands of followers, that sell media space in their profiles. A good example is accounts specializing in weddings, which you can contact and negotiate a sponsored post which, depending on your strategy, can be very relevant to grow your visibility and even generate new customers. The first item states that Instagram can be your online portfolio but, if you already have an independent one (a portfolio website, for example), then an Instagram profile can be quite useful as a publicity strategy. Showcase the location where you are working right now, use the right hashtags, and so on – all this will help to bring visibility to your work and your services. Instagram as a built-in geolocation feature, which allows everyone to see the photos that were published on a specific location. 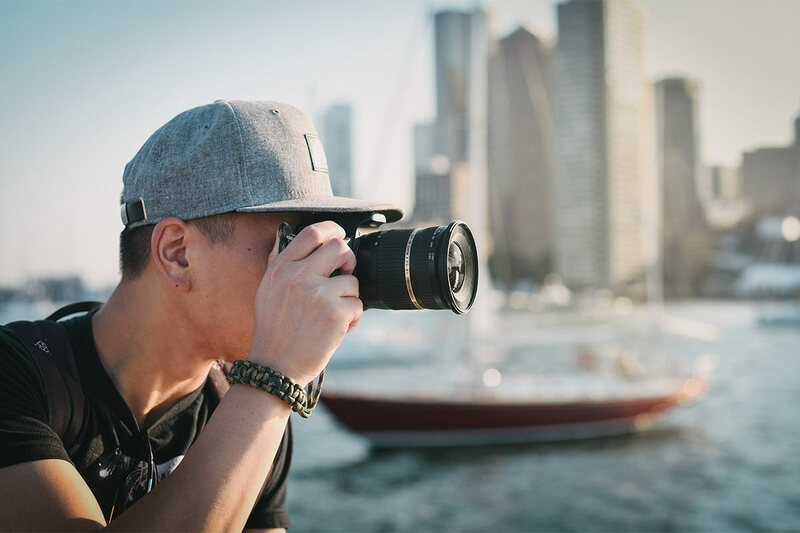 Photographers can take advantage of this feature to engage with potential clients that are nearby, even offering something like a few free photos, in order to call attention and raise interest. As one can conclude, it is possible for photographers to take great advantage of a social network within the likes of Instagram, as it can bring multiple benefits for business and, with that, increase revenue.